The disposition of indigenous settlement throughout the sierra region of Ecuador (also Peru), is an historical relict of the early post Spanish Conquest re-organisation of the conquered territories and a process (called ‘reducciones’) that concentrated the much-reduced populations into European style townships, an alien urban concept to much of pre-Colombian culture. Into these ‘reducciones’, the invading European paradigms sought to establish a new socio-political structure, that, whilst taking full economic advantage of tributary systems established by the former Inca rulers, nevertheless rendered them fully amenable to political control. This essentially was an apartheid system that established two quasi-identical and parallel realities, that were nevertheless mutually exclusive: the República de los Españoles and the República de los Indios. The Spanish conquerors and the many thousands of Spanish colonists who followed them in the wake of the Conquest to seek their fortunes in the ‘Indies’, settled in the first established cities, (such as San Francisco de Quito), small islands of ‘civilisation’ in the vast tracts of empty lands that opened up in the wake of indigenous depopulation caused by waves of introduced epidemic diseases. By the 18th century, the Spanish had appropriated much of these lands in one way or another and so evolved the vast landed estates, called latifundia, dependent upon the surviving relicts of the indigenous peoples for labour to work in the obrajes (textile mills), estancias (ranches) and haciendas (farms). Not until the land reforms of the 1960s was land devolved back to the indigenous communities, and even then, haciendas still retained much of the richer land for themselves. 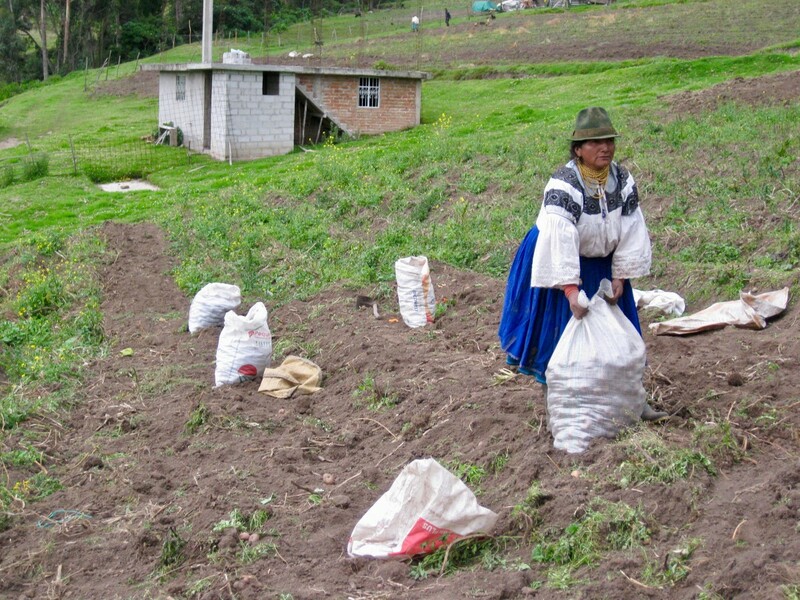 From South to North along the Andean sierra, the Saraguro, Cañari, Salasaka, Salcedo, Cayambe, Otavalo, and Caranqui (to name but a few of the indigenous peoples) occupy lands that they have always lived in since the resettlement programme of the 16th century. Here many of them still live simple rural livelihoods, dependent upon the land for agriculture and animal husbandry. Other communities such as the Salasaka and Otavalo, have developed cottage style industries (now becoming rapidly more modernised, as with the textile manufacturing industry in Otavalo). 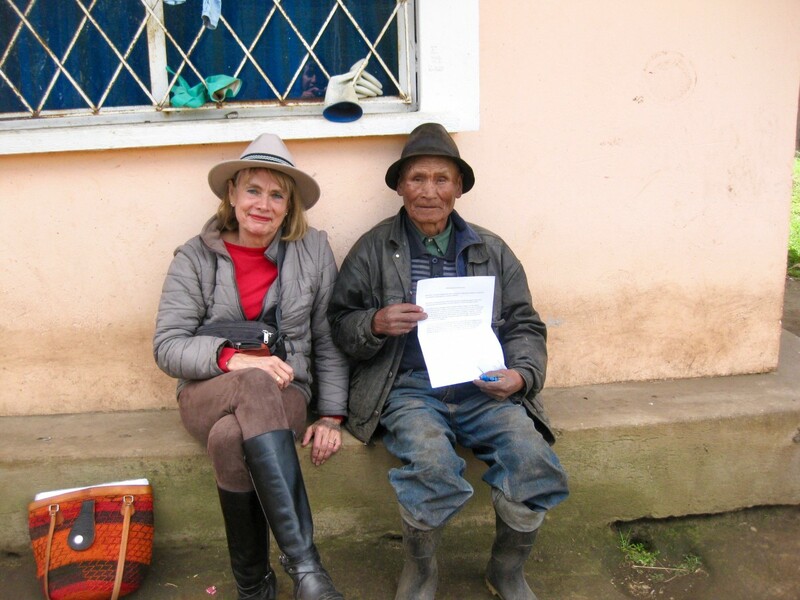 Going out into the communities to carry out the interview phase of the project, I have been made aware first hand that what I am looking at outside the large population centres is, in fact, the still largely intact República de los Indios. Many of the indigenous communities, and larger townships such as Salasaka, fully retain all the characteristics established centuries ago, although now clearly subject to much modern development. These small regional political jurisdictions – parroquias (parishes) – are largely still rural and are governed by the Parochial Board and by the Teniente Político (Political Lieutenant), and a mayor (alcalde). 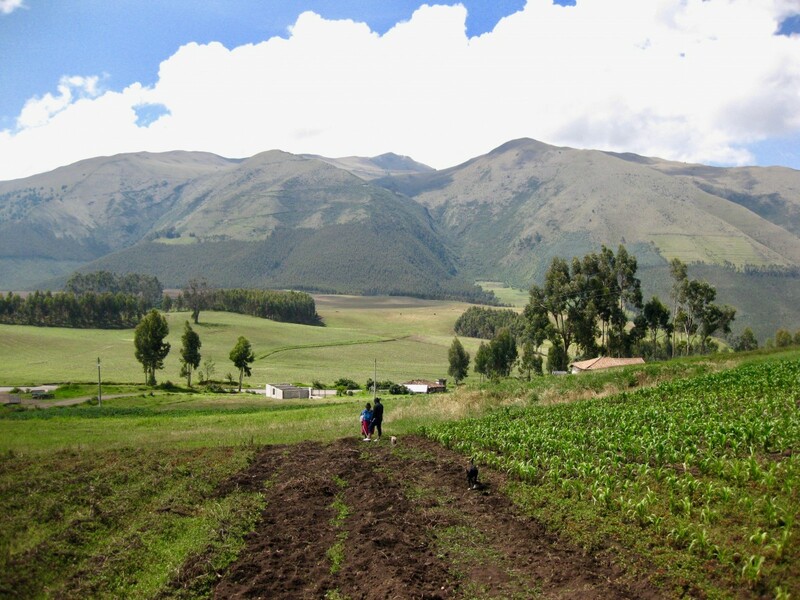 Ugsha, about a twenty minute drive from Zuleta, is a good example of a rural community with a mixed agricultural economy, which depends upon cereal cropping (mainly oats and barley), maize and potatoes, together with some sheep herding and a few cattle and pigs. Whilst the Comuna of Zuleta has developed according to the close ties established with the Hacienda (as explain in ‘Zuleta Comuna’ http://www.andeanmedicine.net/blog/zuleta-comuna-1516722903) Ugsha is largely independent and far more distinctly ‘rural’. As noted in the previous blogs, core traditional belief systems in the Zuleta Comuna reflect the strong influence of the historical association with the hacienda and with the modern tourism of the last twenty years, resulting in a more rapid erosion of the indigenous conceptual basis. The first interviews conducted with people from Ugsha show this quite clearly. Whereas in Zuleta, most people speak Spanish as their first language and Kichwa second, in Ugsha the majority of people interviewed have Kichwa as their first language (as in Salasaka) and avowed views and beliefs that were still largely firmly rooted in traditional belief systems about the cosmos and about health, illness and healing practices. This blog entry was posted on Friday 9th February 2018.